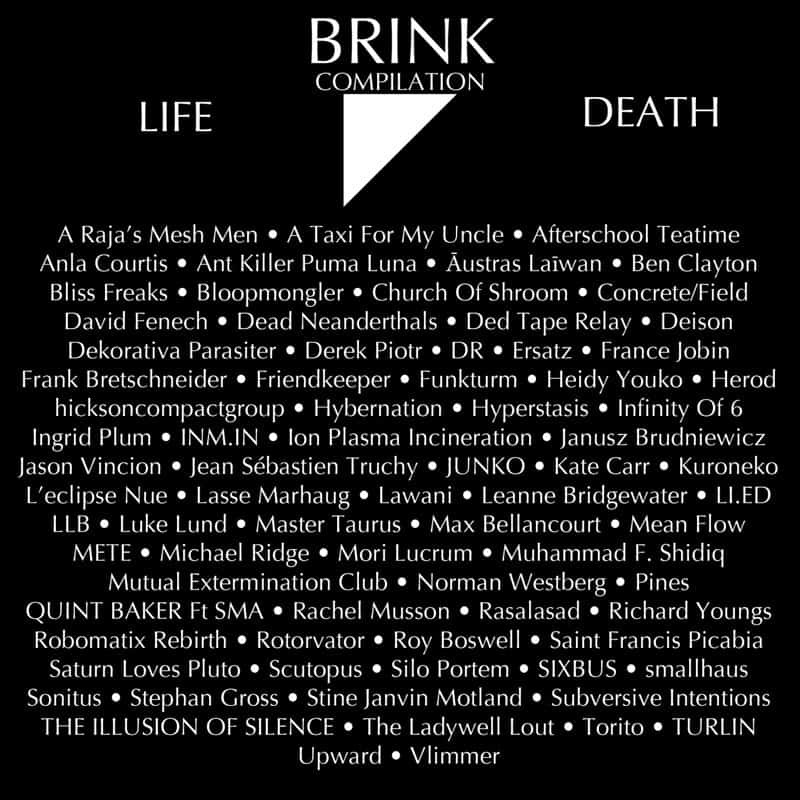 BRINK is a compilation of 156 one-minute tracks on the themes of LIFE and DEATH. 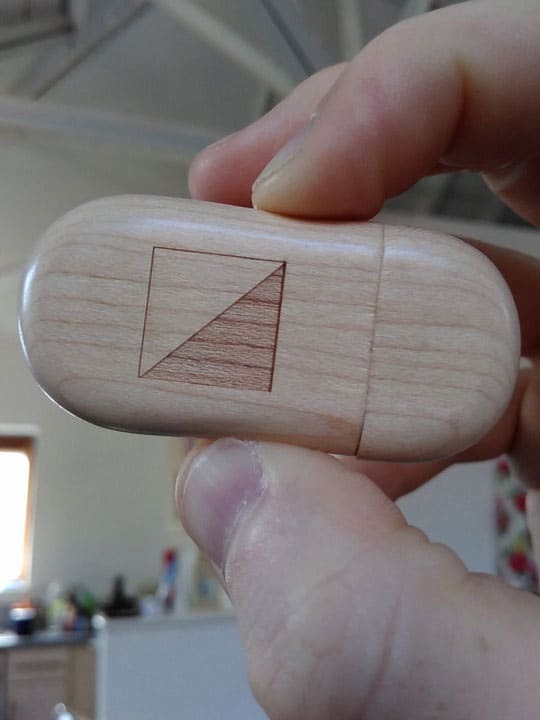 The compilation is released on 15th July 2016 as free download / wooden engraved USB stick. 156 one-minute tracks, available on a USB stick or as a free download ~ what a bargain! The compilation, a follow-up to SIGNALVOID, comes courtesy of Jack Chuter at ATTN:Magazine, who recently added to his fame by writing the well-received Storm Static Sleep: A Pathway Through Post-Rock. It’s the perfect album for those who still make mix tapes, as there’s always that problem of a pesky empty minute at the end. Worry no longer, the solution is here! The compilation follows a path trod by Minute Papillon (Second Language, 2011) and One Minute Older (Virgin Babylon, 2015). Each of these has its own distinctive flavor. Brink is distinguished by its purposely random nature. Not only does the compilation contain a multitude of genres, it also delivers no definitive track sequencing. (The download arrives in alphabetical order.) Each artist contributes two tracks, a “Life” and a “Death” track. Start with Afterschool Teatime, and one will think SIGNALVOID is still playing: alarms sound, synthesizers squelch, and the recording levels go into the red. To be fair, there’s a lot of noise on Brink. But the set is also full of surprises, and much of the fun is in the discovery. USB stickWhat do life and death sound like to you? How would you encapsulate them in a single minute-long track? For me, life sounds like breaking waves, happy children, volleyball and ice cream, and death like silence or a barely audible crackle. Waves and children make appearances (Bloopmongler, SIXBUS, DR, Jean-Sébastien Truchy), suggesting that my interests are shared, at least in part; Max Bellancourt’s barely-there death piece is the closest match to my imagination. While one would suspect that life and death would differ in timbre, many of the artists offer only slight deviations between their two tracks. But to Ersatz, life seems dark and drone-like, while death is pretty and piano-filled, an inversion of expectation. To Ingrid Plum, life is the sound of sports in a school gymnasium, while death is a series of echoed choral tape loops. Lawani seems to feel that life and death are each groovy, although death adopts a slower and more jagged groove: perhaps a death instead of the state of death. Luke Lund presents life as lapping water with drone, and death as a downpour with ambience, as if soundtracking film scenes. And to Michael Ridge, life is a series of answering machine messages (which sounds more like hell!) while death is pretty chimes and gongs (finally, heaven?). USB symbol sideThe standout tracks try something new. For example, it’s impossible to overlook that chicken track. Who can resist the sound of a chicken thinking about crossing the road as trucks race back and forth? Ben Clayton follows this piece with a spoken word meditation on the old joke. Mori Lucrum’s life piece begins in silence and swiftly grows to a drone of static and bell, while his death piece adds voiceover: “I’m not comfortable, and I never will be” ~ suggesting a concept album. In fact, many of the best tracks include a tiny sentence. Even if the quote, “a smattering of roses along the thorny paths of life” (TURLIN) turns out to be from the Marquis de Sade, it’s incredibly effective. Also worthy of a shout-out: the strings and spoken word of Āustras Laīwan, the 80’s-influenced industrial rhythms of Ion Plasma Incineration, and the varied timbres of smallhaus, whose tracks are cyclical, reflecting the monologue delivered in the first piece by returning to birdsong at the end of the second. We haven’t mentioned some of the better-known artists, but they’re here. Regular readers of our site will recognize the names of Anla Courtis, Deison, Derek Piotr, France Jobin, Frank Bretschneider, Kate Carr, Norman Westburg and Pines. Yet while these names are the selling point, they are not the lead story. 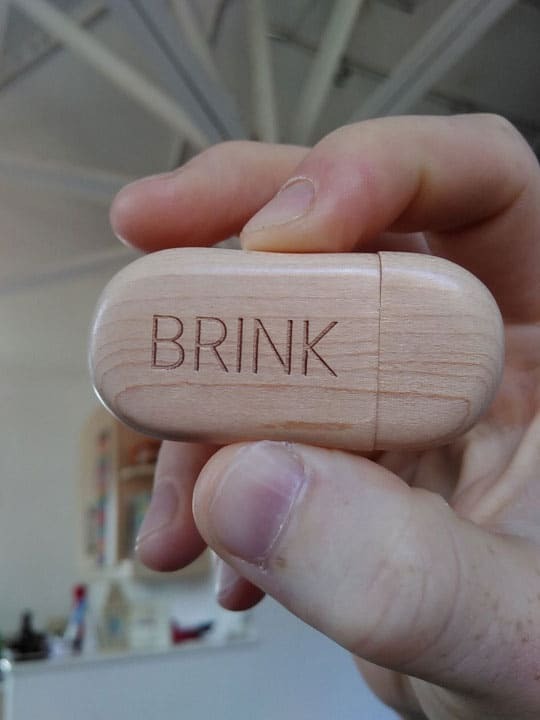 Brink leads listeners to new discoveries and new thoughts, offering life and death in portable fashion, petite enough to fit in the palm of one’s hand.